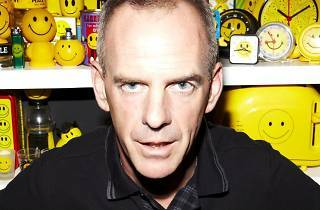 Having conquered the world and its radio airwaves with his big beat antics (and by making Christopher Walken dance maniacally in one of his videos), Norman Cook has quite a track record. Considering the fact the top U.K. producer also doesn't play out much any more, tickets for this Shrine Expo Hall show are moving fast. "Eat, Sleep, Rave, Repeat" to his raucous blend of house, funk, hip-hop and electro as he plays behind his latest mix album, Fatboy Slim Presents Bem Brasil.